Your employee’s driving record & you - Scarsdale Premier Insurance Agency | Advocate Brokerage Corp.
Business owners and the insurance agents who love them, know all too well that much of your time is spent managing risks. For employers who require the operation of a motor vehicle as part of their staff’s job description, the driving habits of your employee is something that needs to be considered. In our last blog on distracted driving we discussed negligent entrustment and how employers could be held liable for permitting an employee to get behind the wheel of a vehicle when they have prior knowledge of some sort of risk involved. The bottom line is that the risks involved are too big to ignore and you as an employer need to do all you can to ensure your employees are practicing safe driving habits. 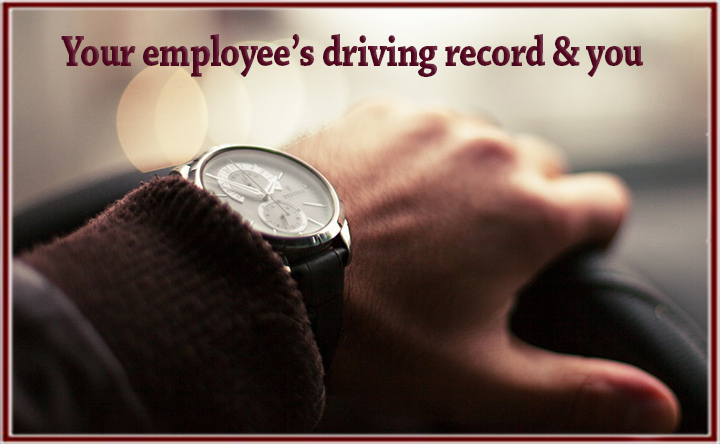 So how do you go about monitoring your employees’ driving habits? First, you can request to see the Motor Vehicle Records (MVRs) for your potential employee. MVRs are a complete history of an individual’s driving infractions, even if the individual has resided in multiple states. An MVR search can be an excellent screening tool to help find the best candidate for the job. Before you access any MVR, make sure to adhere to any rules regulating the gathering of this information, including but not limited to the Fair Credit Reporting Act and Driver’s Privacy Protection Act. For example, the Fair Credit Reporting Act requires the employer or company to ask permission of the individual before accessing personal information, including MVRs. Once armed with the MVR, you are better able to determine if there is risk of insurance premium hike based on the driver’s history. The more severe the infraction, the greater the potential that it will impact your business’ insurance costs. Of note, the total number of incidents against an employee can also become a factor because, even if they are minor incidents, they may reflect a pattern of bad decisions behind the wheel. On an MVR, every incident is assigned a 0-4 point rating to indicate severity; the total is then used to gauge the likelihood of that driver having a future accident. You have an added bonus here because you are free to add driving metric monitoring systems that record GPS data, speed, acceleration, braking – and even can record interior or exterior video. Many insurance companies encourage the use of these devices through incentives or discounts because it will help them better gauge the risks associated with a specific vehicle. If you are not currently reviewing your employee’s MVRs, now is the perfect time to take advantage of this tool that can help you better manage the risks of doing business. You might also consider adding a list of driver expectations to your company’s policies and be sure your employee handbook reflects these regulations. In this case, the more information, the better for all involved.